Facebook event of this meet. While you are at it, join our Facebook group or mailing list. DBB presents #DBM 29 – a meet for Delhi’s bloggerati and twitterati! It’s been quite a while since we last met! India’s first WordCamp was sure the coolest event we have ever organised (and at the risk of sounding pompous) or that India’s online space has seen for that matter going by the superb feedback we received! :). We’ll be updating this blog with the details of that event soon for those who missed out on it. We understand junta has been revving up since quite some time to have a meet but we have been in the recuperation mode after WordCamp India :). But not anymore! 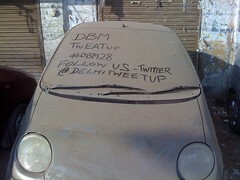 It’s time for the next meet (and many more to come) – DBM#29 – which is a Delhi tweetup as well as a bloggers meet. All twitterati and blogerati are invited! When : 9th May’09 (saturday), 5:30 pm onwards till abt 7:30-8pm. What : get acquainted with each other. Demystify twitter for those who dont know it yet. Network, socialise, laugh, check out the venue, see the exhibition, shop, snackup, drink, tweet, blog, be merry! The venue is wi-fi enabled. Snacks and refreshments would be provided. We’ll be collecting a nominal amount of Rs. 50/- from everyone for the snacking part. Please give your ayes and nayes here in the comments section or you could tweet them keeping @delhitweetup in your confirmation tweet or you could confirm in the Facebook event of our Facebook group or give your ayes/nayes in our mailing list. We have been saving the best for the last. Apart from Matt, the founder of WordPress, we have another very special guest, one of the top 100 most influential bloggers according to CNET, Om Malik, of GigaOm fame, joining us for India’s first WordCamp!! So we hope you have paid for your registrations, since only paid regns will be allowed in. Hurry and book your tickets right away! You can avail the Early bird discount (lesser rates) till 18th Feb (by 18th we should have the payment with us). For those who can not register in this time period, we would have walkin registrations as well, but those tickets would cost more. Registration Fees (early bird, valid till 18th): Individual day ticket : INR 250, Full event ticket : INR 400. Registration Fees (walk-in regn at venue) : Individual day ticket : INR 300, Full event ticket : INR 500. From Paypal (Early bird, valid till 18th) : Individual day ticket : 6$, Full event ticket : 10$. Your ticket entitles you to lunch/tea/coffee/snack, Welcome kit, WordCamp souvenir. Feel free to invite your blogger friends to this event. Please help us promote this event. presents to you, India’s first WordCamp! Agenda : A two-day conference which brings together stakeholders and audiences of social media and blogging, centred around WordPress. Matt Mullenweg, the founder of WordPress is joining us. So is a very special surprise guest, a very popular blogger residing in the US. Lunch/tea/coffee/snacks would be provided by our prime sponsor – Adobe. Parking : this will be provided inside Adobe office. Experts/executives from social media related platforms or blog platforms, Journalists who know how blogs have become an alternative to mainstream media, Professionals who have used social media to connect and build communities, Marketers (clients or agencies) who are using social media/blog strategies, Techies/application developers in these fields, Entrepreneurs who have ideas around social media and blogging platforms, bloggers (corporate, professional and otherwise), blogreaders who want to know a bit more, PR professionals looking to develop/enhance their blogger relationship programs, Marketers who want to look at case studies on how others are using the same. It is presumed that you are a WordPress user. HURRY! REGISTER NOW AS A SPEAKER OR DELEGATE. Click on the registration link on this page. 1. First Register at this site. You’ll receive an e-ticket with a unique order number. Store the order number. Bank : Kotak Mahindra Bank Ltd. Branch: Malviya Nagar Extn., Saket, New Delhi – 110017. Note: Email us separately at [me at mayank dot info] with transaction id that your bank provides as well as eventbrite order number & your contact info in order for us to track your registration. Accompany DD with covering letter, mentioning Name, contact info, unique eventbrite registration order number. And thanks to Web Hosting Search for donating two hosting accounts to attendees. Let the blogging begin! Here are the Delhi Bloggers who attended DBM 28. I have added the twitter handles of the ones I know. If you would like to share your links, twitter id’s, flickr links, please do share them in the comments so that we can get to know you better. Here are some of the pics that were clicked during the meet. One of the most creative ones is here. Clicked by @abhishek, “conceptualised” by @kg86. If you have clicked pictures of the meet and uploaded them in flickr then I would request you to tag them as “DBM28” for this meet and “delhibloggers” for the overall tag. If you have uploaded your pictures in FB, then please do add them to our FB group and DBM28 FB event pool . If there are any posts about the same, please share them as well. Here are the Delhi Bloggers who attended DBM 27. I have added the twitter handles of the ones I know. If you would like to share your links, twitter id’s, flickr links, please do share them in the comments so that we can get to know you better. Here are some of the pics that were clicked during the meet (these are courtesy Saad). If you have clicked pictures of the meet and uploaded them in flickr then I would request you to tag them as “DBM27” for this meet and “delhibloggers” for the overall tag. If you have uploaded your pictures in FB, then please do add them to our FB group and DBM27 FB event pool . After the wonderful heritage walk we had (DBM27) at the Jamali Kamali Masjid, we now look forward to the Eat Meet/Tweat Up – something that all of us have been looking forward to. On the occasion of the group’s 5th year anniversary, we are doing a series of meets and this is the 2nd one in that series. Let’s have another round of history, culture, architecture, photography, chai, gupshup, fun and most importantly FOOD! Venue : Chandni Chowk, meeting point at Chawri Bazar exit at metro station. Agenda – Eat as you walk. Anyone who has an active interest in heritage, history, culture, architecture, photography, food and in documenting it through blogs, tweets, flickr pictures, podcasts or in any other way. Or anyone who has an interest in meeting the oldest bloggers group in Delhi and having some fun along the way :). For this meet, the coordinator would be Twilight Fairy (9811511719). Please confirm your attendance in the comments or at the facebook event. While you are at it, please join us here in facebook and here in the mailing list. After the wonderful heritage walk we had (DBM26) some weeks back, the group was very keen to have another one very soon. On the occasion of the group’s 5th year anniversary, we are doing a series of meets and what better way than plan another heritage walk and have another round of history, culture, architecture, photography, chai, gupshup, winter sun and fun! If time permits, we can visit the Qutub Minar next door. Our own heritage expert – Archana Saad Akhtar, who works with the Aga Khan foundation, may be accompanying us. Anyone who has an active interest in heritage, history, culture, architecture, photography and in documenting it through blogs, tweets, flickr pictures, podcasts or in any other way. Or anyone who has an interest in meeting the oldest bloggers group in Delhi and having some fun along the way :). The plan is to read up on these areas and have an exchange of information at the venue itself. We are trying to get some experts to guide us around the walk, but we can always self-educate. We meet, explore, click pictures and then of course grab grub – the integral part of any meet. The Delhi Bloggers community completes 5 years today! It’s a great feeling to be able to see a network one started 5 years back, still growing, spreading further and hopefully adding some value in the lives of all who are a part of it! :). It sure has added a lot to mine and provided me an opportunity to interact with so many bloggers and indulge in so many activities with them. 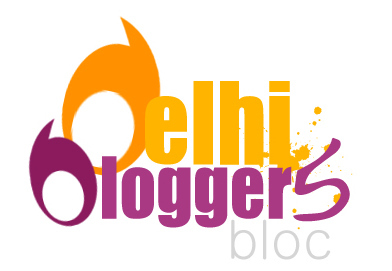 The Delhi Bloggers Bloc completes 5 years on 13th Jan! (It was created after the first ever Delhi Bloggers meet on 13th Jan 2004). We would love your suggestions on what all you want to do on this occasion (both online/offline) . 3. Both above locations double up as photography walks too. 5. And the grand finale – we are organising India’s first wordpress camp (called wordcamp) on feb 21st, feb 22nd. Matt Mulenwag, the founder ofwordpress has kindly agreed to grace us with his presence for the event :). I am quite excited about this event and we would definitely need help from all of you to make it a grand success. Suggestions are welcome so that we can quickly finalise the activities with their corresponding coordinators/ volunteers. Feel free to invite your other blogger/flickr/ twitter friends to these events. Update : Here is the actual post of the First ever WordCamp in India! Here are the Delhi Bloggers who attended DBM 26. I have added the twitter handles of the ones I know. If you would like to share your links, twitter id’s, flickr links, please do share them in the comments so that we can get to know you better. 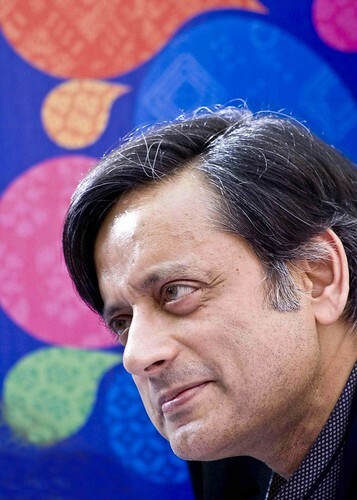 Here are some of the pics that were clicked during the meet (these are courtesy Saad). If you have clicked pictures of the meet and uploaded them in flickr then I would request you to tag them as “DBM26” for this meet and “delhibloggers” for the overall tag. If you have uploaded your pictures in FB, then please do add them to our FB group and DBM26 FB event pool . DBB presents – DBM 26 – the heritage walk! Everyone in the group has expressed a lot of interest for a long due heritage walk. Before the year ends, we would all like to meet and what better way than spending some time together soaking some winter sun and having a hot steaming cuppa together! We can safely say that this is a long awaited meet – DBM 26! Venue : Humayun’s Tomb followed by a visit to Nizamuddin’s heritage area followed by grub nearby. For this meet, the coordinator would be Twilight Fairy (9811511719). Please confirm your attendance in the comments here or at the facebook event. While you are at it, please join us here in facebook and here in the mailing list. On 20th, Delhi witnessed its second twitter meet. Unlike the previous twitter meet, which was held in a cafe, this meet was sponsored by Incube Business centre. The meet started at 5pm. I got there by about 5:20pm thanks to the traffic. There were already some twitter enthusiasts who had introduced themselves to each other. Kumar Rahul was fully prepared with a laptop, ready to just start. We had another round of introductions during which we noted down the twitter id’s or mail id’s (of those who were not on twitter). During the intro round, Gautam Ghosh walked in and I quickly put the onus of kickstarting a session, onto him. Gautam talked about what twitter really meant for him. Conversations are what matter – at the end of the day, whichever platform you are on.Also crossposted here. Check some of the tweets from that day. Here are the posts on this event written by Gautam, Mayank. If anyone else has written anything about the event, please leave a comment here and it will be added in the roundup. Also crossposted here. Agenda : A Delhi twitter meet! All Delhi Bloggers and Delhi’s microbloggers are invited. The state of the art venue is wifi enabled and has board rooms with projectors. Snacks/Refreshments would be provided by our sponsors. Experts/executives from social media related platforms, microblogging platforms or blog platforms, Journalists who know how blogs/microblogs have become an alternative to mainstream media, Professionals who have used social media/blogs to connect and build communities, Marketers (clients or agencies) who are using social media/blog strategies, Techies/application developers in these fields, Entrepreneurs who have ideas around social media and blogging platforms, PR professionals looking to develop/enhance their blogger relationship programs, Marketers who want to look at case studies on how others are using the same and of course Delhi Twitterati. We plan to have some interesting discussions. These timings are indicative and they could overshoot by perhaps half an hour. Take a look at the smashing venue! This was also crossposted here.